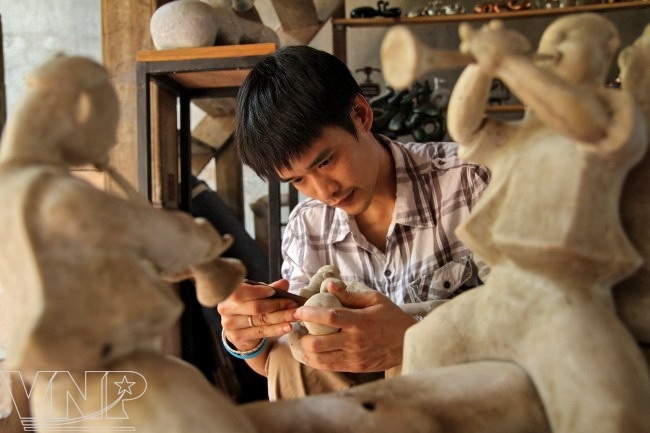 After 10 years of creating, young sculptor Pham Thai Binh recently presented his first public exhibition titled “Forgotten Moments” at the Museum of Fine Arts. 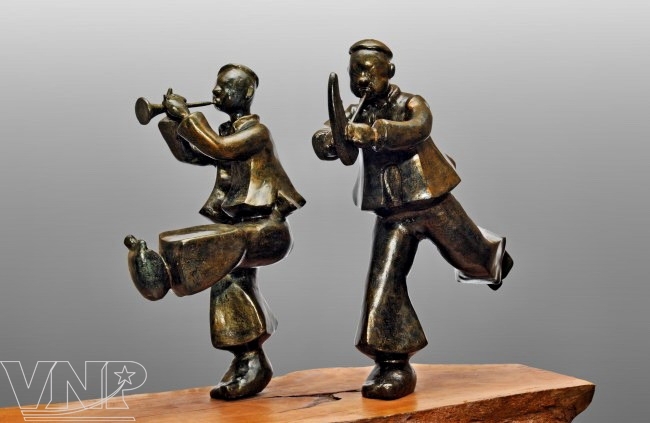 The collection consists of 30 impressive sculptures about the daily life of ethnic groups in the mountainous areas of Vietnam. 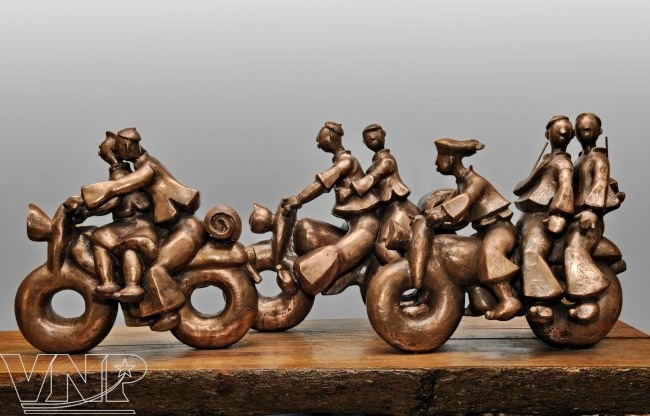 Sculptor Pham Thai Binh was born in the northern province of Lang Son so the images of ethnic people were always on his mind. “The characters in my works are the ethnic people in the northern mountainous area, not a specific ethnic group. I do creative works about them because I admire the way they face difficulties and deprivations to live well,” said Binh. “Sounds of the Mountain” before being covered by lacquer. "Spring Melody" - Composite covered by lacquer, 52cm x 62cm (2011). "Being Dead Drunk" – Copper, 35cm x 43cm (2010). “Father and Son” – Composite covered by lacquer, 68cm x 41cm (2010). 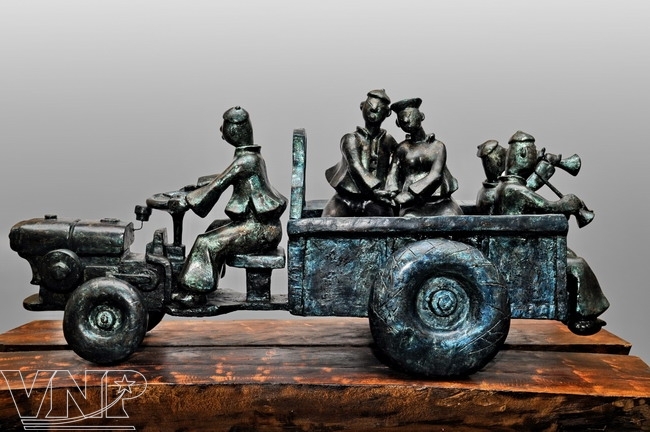 “Taking Wife Home by Three-wheel Motorcar" – Composite covered by lacquer, 110cm x 38cm (2010). 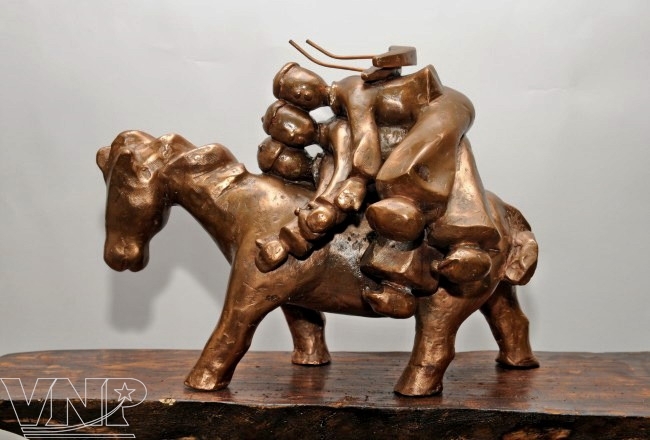 "Robbing Wife at a Moon Night" – Copper, 120cm x 46cm (2010). 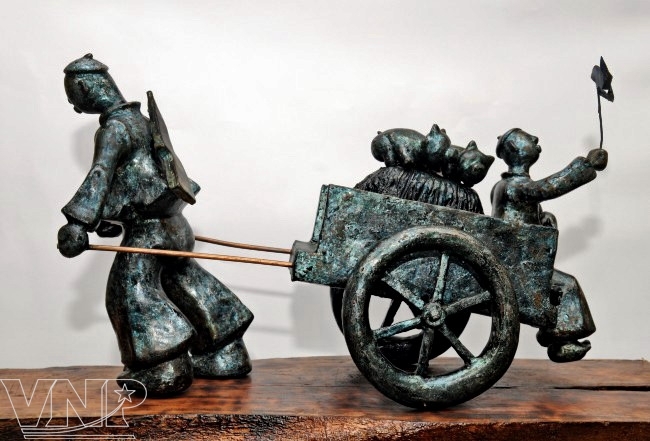 “Thanks to his creativeness and delicate expression, using the language of sculpture, viewers can see lovely images, feel the emotions, and the simple and beautiful life of ethnic people. All of the statues look slightly alike in terms of costume and posture so they bring viewers a familiar and strange feeling. Observing “Being Dead Drunk”, viewers can see a very familiar image on a market-day in the mountain area with funny images of drunken men lying on a horse. The “Taking Wife Home by a Three-Wheel Motorcar” work shows a lovely wedding ceremony. 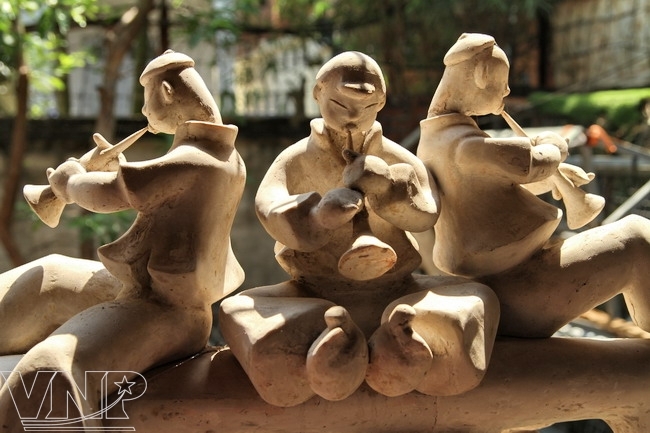 The simple, cute and natural features are not only reflected through each carving and posture but also the names, such as “Turning on the radio to wait for friends”, “Piglets for Sale”, “Going to the Market”, “Sounds of the Mountain”, “Father and Son” and “The Childhood Wheel”. As its name suggests, the exhibition reminds viewers, especially those who once lived in the mountain areas, of impressive and beautiful moments of the life of ethnic people and brings special emotions. At the exhibition, many of his works were sold for high prices, including “VIPs in the Highlands” which sold for 4,5000USD .